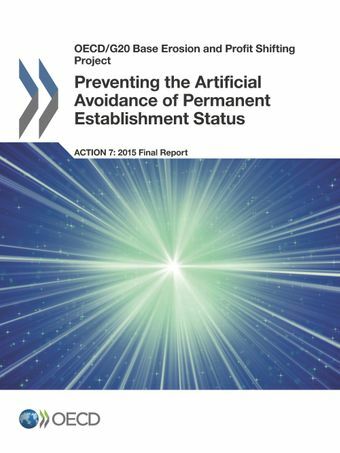 This report includes changes to the definition of permanent establishment in the OECD Model Tax Convention that will address strategies used to avoid having a taxable presence in a country under tax treaties. These changes will ensure that where the activities that an intermediary exercises in a country are intended to result in the regular conclusion of contracts to be performed by a foreign enterprise, that enterprise will be considered to have a taxable presence in that country unless the intermediary is performing these activities in the course of an independent business. The changes will also restrict the application of a number of exceptions to the definition of permanent establishment to activities that are preparatory or auxiliary nature and will ensure that it is not possible to take advantage of these exceptions by the fragmentation of a cohesive operating business into several small operations; they will also address situations where the exception applicable to construction sites is circumvented through the splitting-up contracts between closely related enterprises.